In my ongoing quest to take my shower to spa heights, I’ve stumbled upon the greatest invention since sliced bread. Wait for it. 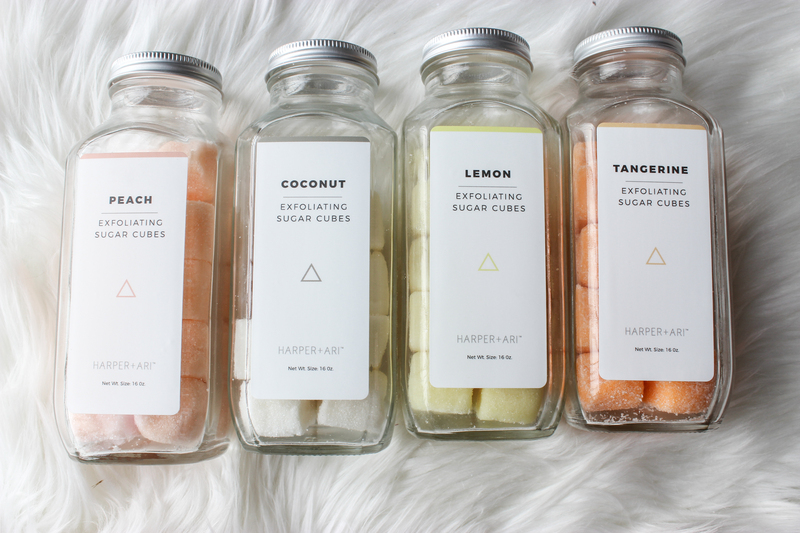 Exfoliating sugar cubes! Gahhhh!!! These mini cubes are the perfect, no mess, single use size for gentle exfoliation in the shower. 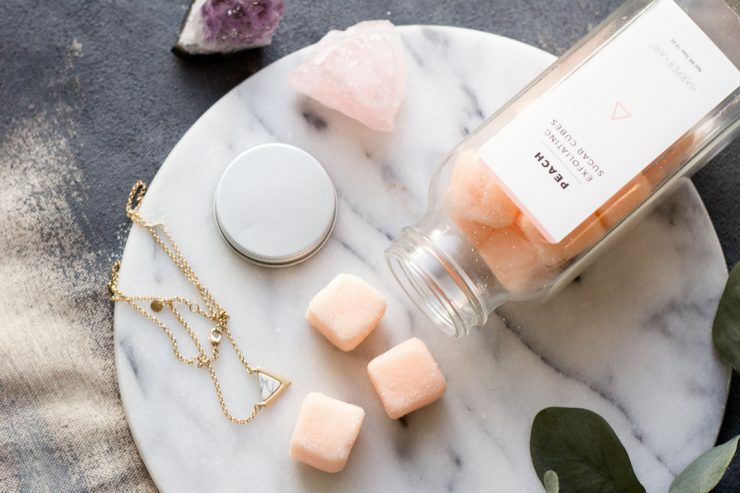 The square shape makes them easy to maneuver and the best part is that you don’t have to risk your life slipping on oil, because these little babies are not nearly as gooey as your favorite sugar scrub. Harper and Ari really got it right with this one! I love the variety of ‘flavors’ Harper and Ari offer, but you can easily come up with your own favorite recipe at home. I got my go to recipe from Hello Glow. The sugar cubes are really easy to make. 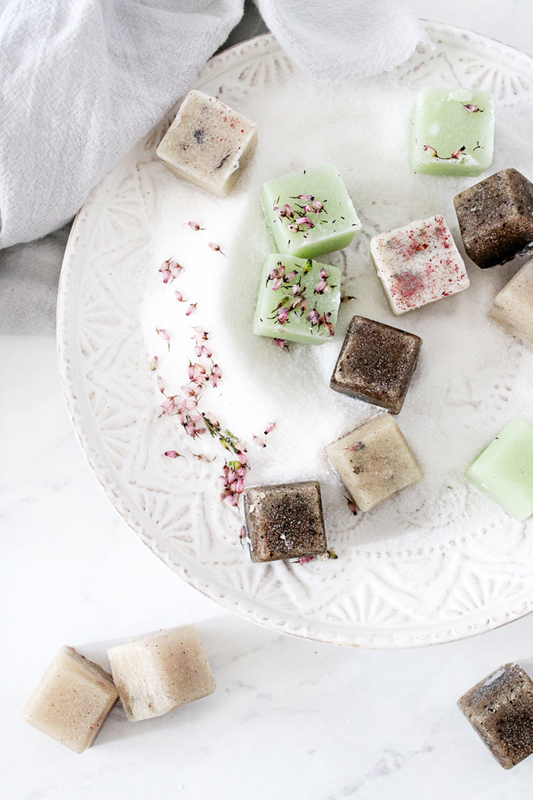 All you need are three ingredients: a melt and pour soap base + coconut oil + sugar. Then you just combine all your ingredients, spoon it into an ice cube mold, allow them to cool, and then transfer to an airtight container. The magic is in your choice of additive and the possibilities are endless. Mix in coffee grounds for an invigorating spa shower, or lavender or dried chamomile for a calming spa shower. So many choices!